Since my children were introduced to Minecraft a couple of years ago it has quickly become their absolute favourite activity. They play separately and together, and I'm always impressed with the complicated things that they build. 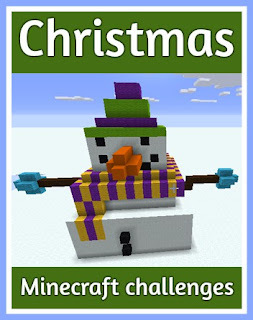 With the Christmas holidays approaching I'm sure that their Minecraft time will increase, and they helped me to put together this list of Christmas related Minecraft builds and challenges in case there are any other Minecraft loving children looking for inspiration! * If you have a world in Minecraft that you add to then decorate it for the holidays. Make a Christmas tree or two and string up decorations, add wreaths to the front doors, piles of presents under trees. * Build a full size Gingerbread House and decorate it both inside and outside. 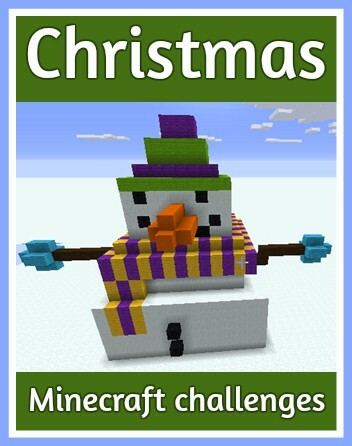 * Build a giant snowman, don't forget to add a hat, scarf and gloves. You could even build a family of snowmen! * Make a Christmas themed train or sleigh ride. Theme along the track with snowy decorations, a Christmas village, a forest of Christmas trees. Maybe even Father Christmas in his grotto at the end! * Recreate a Christmas market with lots of different stalls, an ice rink, a seating area for food and drink and maybe a ride or two. * Design some snowflakes, you could have a go at some really large, intricate ones. * Build Santa's workshop - a factory for making the toys, accommodation for the elves, a shed to keep the sleigh, stables for the reindeer and so on. * Build a huge Christmas tree with tinsel, lights, baubles and other decorations, and don't forget a huge pile of presents to go underneath. * Build a winter wonderland through the forest. * Try some pixel art with some huge Christmas themed designs, maybe some of your favourite Minecraft characters with a festive twist like a Santa hat. * Build a fireplace for Father Christmas to come down, don't forget to add stockings. * Build a ski slope, you could also add a lift to take skiers to the top and chalets. * Build an igloo, experiment with different shapes and designs. Fab ideas. I am going to suggest some of these to my girls. They are always asking me what they should build. 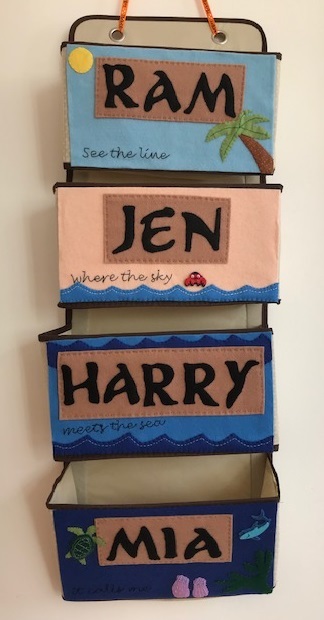 Thank you, I'm glad that you like them!